So the weather isn’t exactly what you had in mind when you planned your visit. That’s okay! We’ve got you covered with this guide to help you find the silver lining in your cloudier-than-expected adventure through the park. There are shows, shops, eateries and even indoor attractions to explore around every corner! 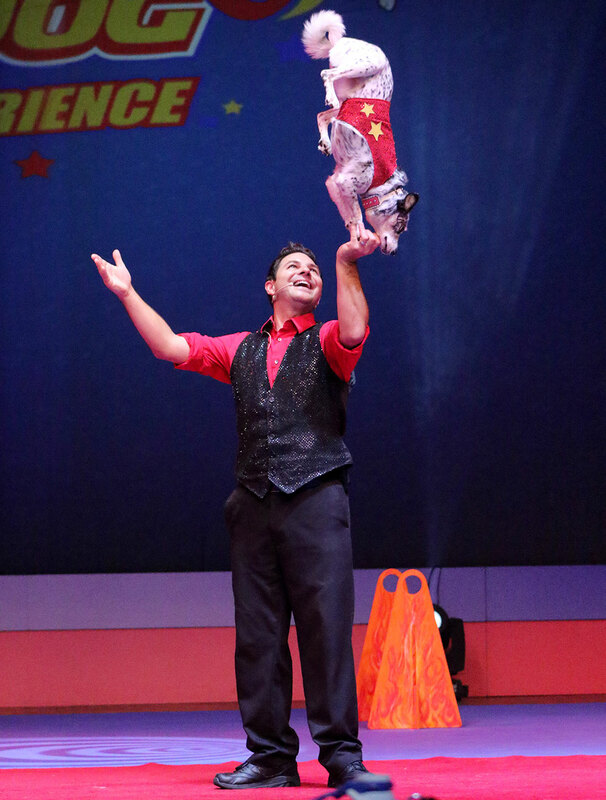 During Silver Dollar City’s Star-Spangled Summer Festival, you’ll find amazing family entertainment that will keep you smiling all day long! 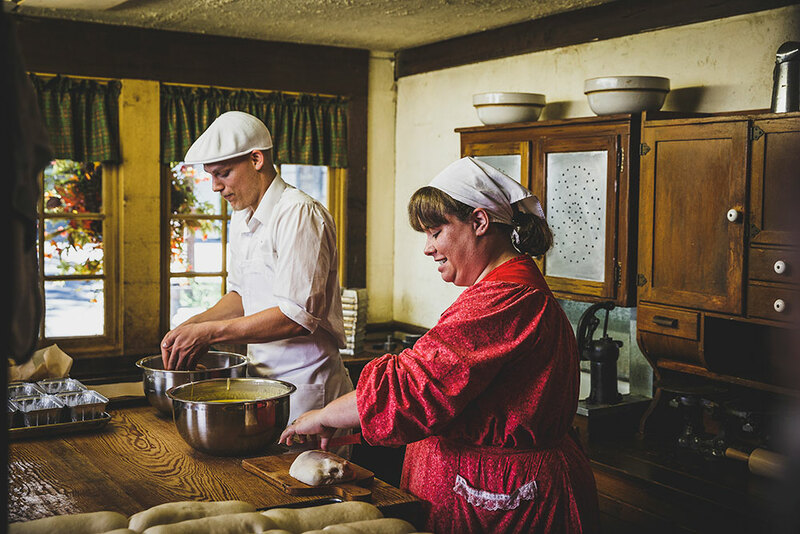 Sullivan's Mill - Milling & baking demonstrations and fresh cinnamon bread! Brown's Candy Factory - See their signature peanut brittle being made and get a sample. Hazel's Blown & Cut Glass - Witness fascinating demonstrations throughout the day. Hillcreek Pottery - Watch this team of fine craftsmen at work. Carrie's Candles - See the candle making process unfold before your eyes. Phoebe Snapp Taffy - See taffy turned, flavored, colored and wrapped in one amazing demo. You might also consider taking a class at The Midwest Living® Culinary & Craft School. New summer classes are going on now! Fire-In-The-Hole - This classic indoor coaster is a family favorite! The Flooded Mine - Compete for the high score in this mine-themed shooting gallery. Grandfather's Mansion - This kooky house is full of fun surprises. 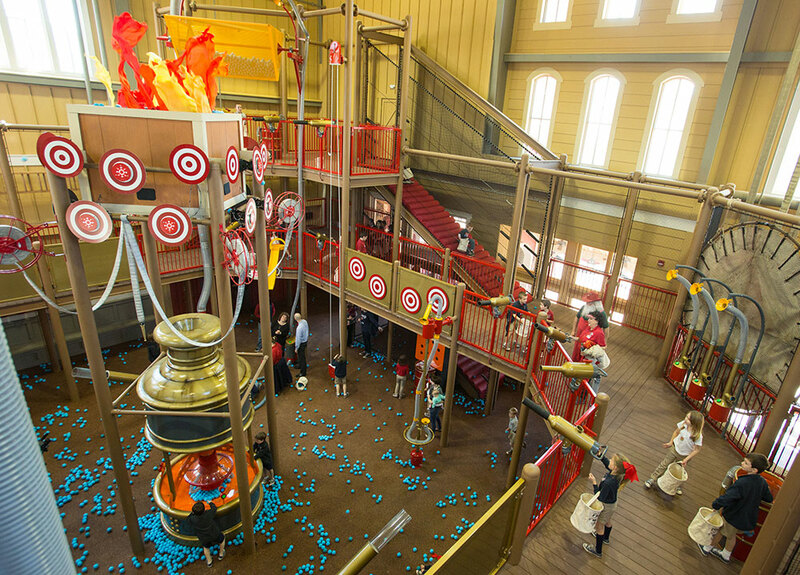 Firehouse Play Place at Fireman's Landing® - A ball-a-palooza of cannons, targets and more! McHaffie's Homestead, Wilderness Church and Oak Trail School - Step into the past as you explore these authentic pioneer buildings. Reunion Hall Family Summer Buffet - Designed for families with kids! 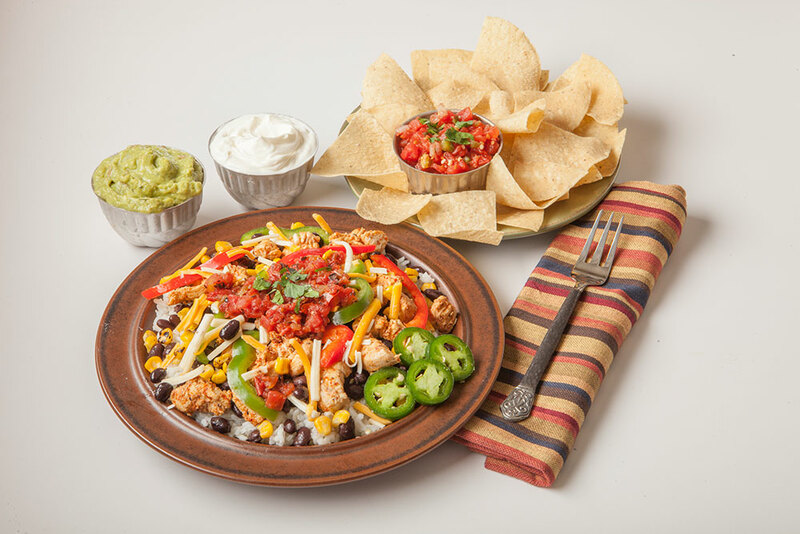 Percy's Southwest Grill - Build your perfect meal full of southwest flavor! Buffets at Molly's Mill and The Lucky Silver Mine - Delicious down-home cooking. Riverside Ribhouse - Slow-smoked Silver Dollar City barbecue. Crossroads Pizza - Wood-fired pizza, fresh salads and more. Hannah's Ice Cream Factory - Cones, sundaes, shakes and floats in a variety of flavors. Lumbercamp Restaurant - Char-grilled hamburgers and delicious appetizer baskets. Wagon Works Grill - Grilled burgers, turkey legs, salads, wraps and kabobs. Eva & Delilah's Bakery - Freshly baked bread, cinnamon rolls, pastries and more. Frisco Freight Co. Barn - Hands-on activities and creative toys for kids. Farmhouse at the General Store - Farmhouse dècor plus apparel and gourmet foods. Wilderness Road Blacksmith Shop - Hand-crafted items, yard dècor and Lodge cookware. Two Sisters Jewelry - Timeless jewelery in a variety of styles. Cowboy Jepp's - Western wear, accessories, gifts and home dècor. 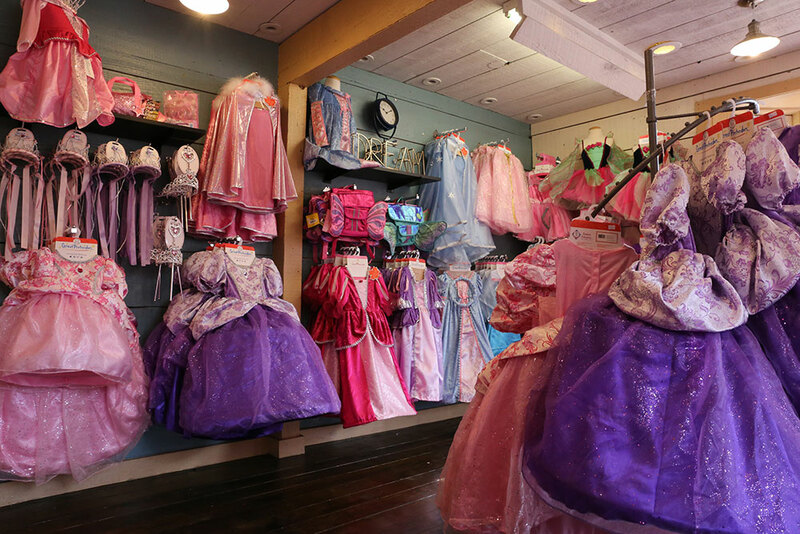 Emmaline's Dress Up Emporium - Featuring a wide variety of costumes for girls and boys. Time Traders - Gear up after your Time Traveler™ adventures at this cozy, whimsical shop. White River Bath & Body - Hand-crafted bath products and lotions. Casey's Dugout - Find everything you need to enjoy America's favorite pastime at Casey's Dugout. Lucky's Toys - Toys, games, kids' craft kits, candy and Fireman's Landing® souvenirs. White River Mercantile - Ladies' apparel, jewelry and gifts. Heartland Home Furnishings - Hand-crafted wood furniture and dècor. Valley Woodcarvers - Hand-carved items and carving supplies. Bears at the Holler - the perfect way for your child to create their new cuddly best friend!